With Boomer fleece jacket your dog keeps warm and is protected from cold winds and low temperatures. The jacket has reflex details that reflect light, making your dog visible when it’s dark. 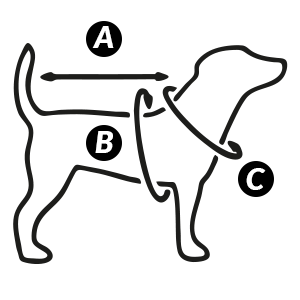 Your dog puts its front legs through the jacket, then you close the jacket using a zipper on the left side. The colour is a lovely black/grey mottled fabric with red details. The inside is a brushed fabric which is very soft and nice.